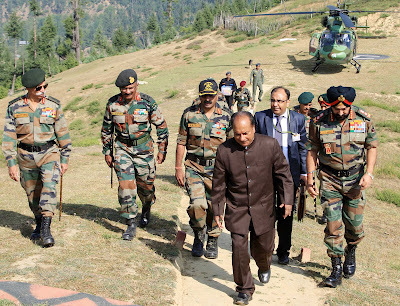 On the second day of his visit to Jammu & Kashmir, Defence Minister AK Antony on Sunday (29 July 2012) visited a forward post in the Kupwara sector, accompanied by the Chief of Army Staff Gen Bikram Singh, Defence Secretary Shashi Kant Sharma, Northern Army Commander Lt Gen KT Parnaik and other senior military and civil officials. Antony was briefed about the infiltration pattern of militants in the sector and the measures being taken by the Army to prevent such attempts. Antony spent some time with the troops and asked about their welfare. He asked them about the quality of rations, clothing and shoes they were getting and whether they were satisfied with it. 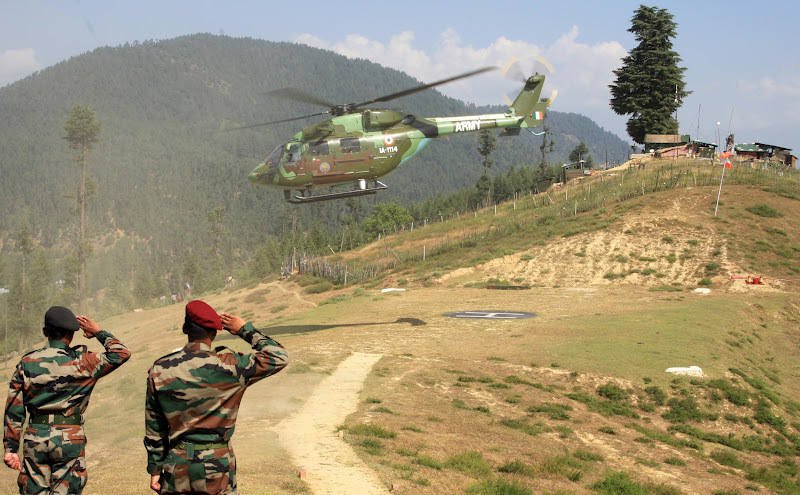 The Ministry of Defence has taken several measures in the last few years to improve the quality of supplies to the jawans posted in remote locations. The minister has since returned to New Delhi.